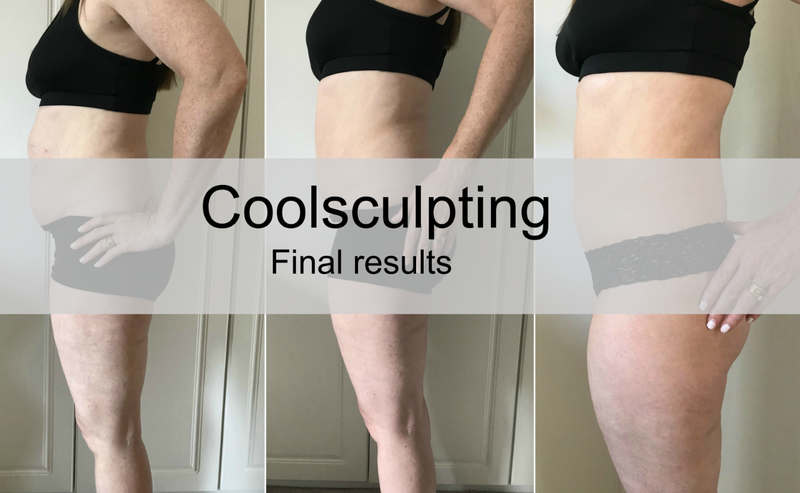 Well, it's been a few months now since I had my Coolsculpting treatment* at Hampton Clinic and I promised you I would show you my final results with before and after pics. I had the treatment in May and they say it takes a good three months to see the final results. Just promise you won't look at my pale, blotchy legs!!!!!! I documented my progress with some of my own photos and also put quite a bit on Insta stories, I created a highlight reel in Instagram so my stories will always be there. There's quite a few stories from the day itself, showing exactly how the treatment works. Why not head over and take a look, the link's right here. Let me just show you one of my own photos, it's the very first and the very last one and the difference is absolutely incredible!!! I mean that fat has gone, gone from the top right under my ribs and right down to the bottom where I still had the remains of my mum tum. I wasn't ashamed of my mum tum, don't get me wrong, it'd grown and nurtured two children but I just didn't like it and as I said in my previous post and 'the reasons for having it done' were the fact that no matter how much I exercised and watched what I ate, my stubborn fat still didn't want to budge. My tummy is a teeny bit swollen in the first pic because it was the day after the treatment but I'm wowed every time I look at these. I'm not going to bombard you with lots of my photos taken at home because quite frankly the quality is just not that great. I'd rather show you the ones taken at the clinic. The front facing one first and you can see where I've got some of my curves back and that podge underneath my belly button has gone. I think I noticed some shape returning at about 6/7 weeks post treatment and I was getting excited inside, it was only slight at that point but it was there. So, before I show you any more I want to say that the Coolsculpting treatment prompted me to start eating better and get back into doing some exercise. It spurred me on. Dr Hill said when people have this treatment it goes one of two ways afterwards. Some think the treatment will do all the work so they don't need to do anything else, others will do all they can to boost the treatment they've had. I fell into the second category. I was excited to see a change in my body and I didn't want that to stop with my tummy. I wanted to work on every part of me. The exercise began and I cut out eating all the crap. It's harder to exercise and loose weight when you hit your forties and a few people have asked for a post on what I've been eating and the exercises I've been doing so I'm going to try and put something together, because whilst this treatment has frozen away the fat on my tummy, I've worked hard on loosing over a stone and toning up my once saggy body, well, I've toned a little, I've still a long way to go in the toning up my muscles department but I will bloody get there, mark my words. Back to the before & afters then. 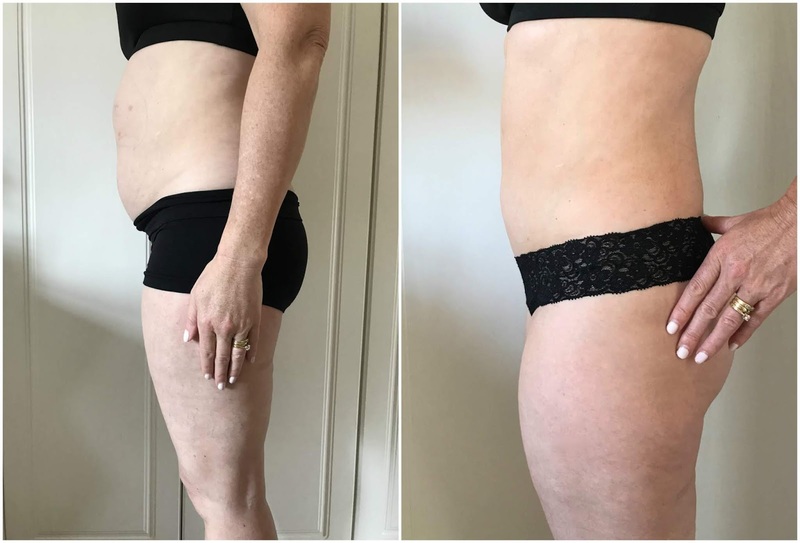 The difference in these shots below is so evident, quite a bit of back fat has melted away too thanks to my HIIT workouts, woohoo! This next one is my favourite of all the before & afters. Just look at the definition and the curve in the after shot. YESSSSSSSS. Abs helped along a little by HIIT (High intensity interval training for those wondering) and pilates. You bet it was. I am absolutely thrilled, no, beyond thrilled with the results I've had. It's not a low cost treatment, I have to be honest about that with you guys but if you're thinking about something like this, then I say go for it. 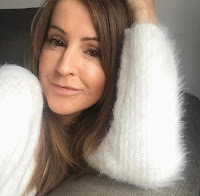 The treatment itself wasn't painful, yes, there was discomfort but it was fleeting and soon forgotten, but the big benefit and draw for some people is that there's no down time and it's non invasive with no anaesthetic involved. Other areas can be treated too, upper arms, thighs, back fat!!!! If you do want to know more then please do have a read of my first post because that covers most things you probably want to know and there's lots more photos showing you the process. Click here. Hampton Clinic offer free no obligation consultations for this and other treatments so take a look at their website or give them a call for a chat. As always if you have any questions get in touch by leaving a comment, drop me a message via social media or email me. I'd love to know your thoughts on my results too! *This treatment was offered in return for an honest review and all thoughts and opinions are my own as always. You may also like to read: Microneedling & skin renewal with Swiss Clinics.